When you have a unified finance and human capital management system like Workday driving your Accounts Payable (AP) processes, you’ve already standardised your data in a central application that is critical to your business. However, there are always other types of content (like emails and invoices) that you must manage along with the data. 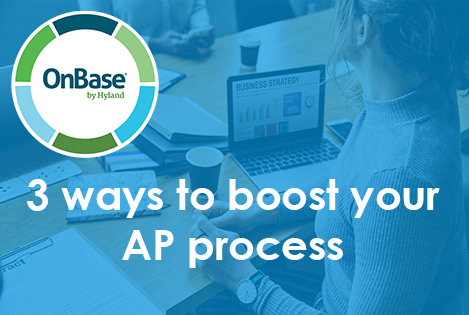 Managing that content, and providing visibility to your employees, is important to the efficiency of your AP department – and OnBase is designed to do just that. Integrating OnBase with Workday improves your AP processes by minimising the manual work associated with managing your transactional content. In AP processing, many of your transition documents are predictable – purchase requests, purchase orders, invoices, packing slips and delivery information, for example. There could be other untracked documentation, too – emails and conversations that are important to the transactions, but are difficult to manage alongside your data records. Whether you receive content via email, manage output from another system, or simply try to keep up with the notes and memos written by your staff, it’s difficult to process and manage all of the needed information. You’re not alone. Many organisations use stopgap solutions for managing content, like file shares or SharePoint, according to an IDG integration study. If your organisation is seeing large volumes in AP, manual indexing and unmanaged content will slow down your processes and affect your bottom line. That’s where OnBase can help. With OnBase and Workday together, you can go further, move faster, and grow for the future. Manual data entry doesn’t have to slow down your AP department. The OnBase AP Automation for Workday Financial Management solution offers intelligent capture (OCR software) to read information on the documents related to your invoice process, minimising the time employees have to spend inputting information. The integration also provides data lookups to Workday, further ensuring that documents are indexed completely and document data is validated and cleaned. Once documents are processed fully, OnBase speeds the invoice-to-pay cycle with automatic updates to Workday. Faster document and data capture also increases visibility for AP managers. Instead of waiting for unprocessed content – like invoices, shipping and receiving paperwork, statements or receipts – to be accessible, all information is immediately available for review and approval. 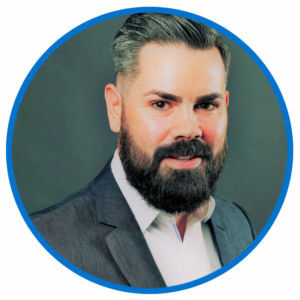 Efficiently capturing AP documents into an enterprise content management (ECM) system is a big step toward digitally transforming content and processes. But once the documents are captured, the process often needs to extend to manage exceptions, which can take valuable time and resources. OnBase helps with discovery and decision-making when documents like purchase requests, invoices, shipping materials, change orders, and receipts are central to the story. For example, if the vendor cannot be identified on an invoice, it may be necessary to reach out to the individual who submitted the purchase request to collect the missing information. With OnBase, you can stop these delays by using electronic forms to provide a list of vendors and allow the employee to select the correct one or initiate a request to add a new vendor record. OnBase electronic forms complement the document capture and management process, and are easy to configure and extend to users. Once the exception or issue is handled, the OnBase integration will update Workday so the invoice proceeds to payment. Sometimes it’s important to view content in context—for example, if you thought there was something wrong with the payment terms from a specific vendor, you would want to look at all the recent invoices and the contract you’ve signed with them. OnBase manages documents in a more sophisticated way than file shares or other makeshift document management solutions, making it flexible and accessible. The OnBase integration allows documents to display in a view that makes sense to your employees – as a single document, a results list, or a folder interface. This provides more flexibility for viewing documents related to your transactions, and boosts visibility for those involved in the process. Free your AP process from unmanaged content with documents that are captured with less manual work, automatically synced with Workday Financial Management, and readily available to increase visibility and improve decisions. If you have any questions about how we can help your business in 2019, please complete the form below.